James Perry is a mad scientist. Angry at his quarterbacks occasionally, but we mean more his compulsion to pose something different and more confusing than ever to the enemy. “James was the most creative coach I ever have been around,” said Andy Aurich, named on Friday Princeton’s new offensive coordinator. “Whether it be a play or a formation, he was constantly looking for new ways to score points. Sean Gleeson is a scientist’s kind of scientist; meticulous, analytical, having contingencies for contingencies; a theoretical fourth-down call already in mind when the Tigers line up on second down. “The most organized coach I ever have been around,” said Aurich. “He had a plan, a reasoning for everything he did in practice and on game days. After breaking the Ivy total yards mark set by Princeton under Perry in 2013, Gleeson has become the O.C. at Oklahoma State. Perry, who left the Tigers following the 2016 season to become head coach at Bryant University, is now head coach at Brown, his alma mater. Aurich is wiser for the experience of working with both, just as were Perry and Gleeson for having game planned alongside Aurich, who has been the Tigers’ offensive line coach and running game coordinator since 2016. Princeton went 10-0 last year, its third title in six years–two won with Perry, one with Gleeson. Success having become an expectation, shoes being tough fits and all that, it can be less comfortable being the guy who follows The Guy than it is being the guy who follows the guy who followed The Guy. Except in this case Aurich is both. He is not coming in cold, although he did call us back while recruiting in frigid Chicago. “It’s not like I’m coming in wondering, ‘How were they doing this?’” Aurich said. “I was part of every game plan and practice. This is not Aurich’s first rodeo as a unit coordinator, having run the Princeton special teams in addition to coaching the running backs and tight ends. “Andy has given me great confidence in his ability to lead the offense,” said Coach Bob Surace. ”I directly watched how he and Sean Gleeson worked together so well to lead our offense to the No. 1 ranking nationally. Of course, Aurich never has been the one making the play calls; the guy most likely to be called a name if the Tigers have to punt. But deciding what to do on third-and-three at the 33 in the final minute involves a lot less intuition and sudden inspiration than the quarterbacks in the bleachers believe. “If I am scrambling to come up with a third-and-three call, that will not bode well,” said Aurich. “The way we have game planned and practiced makes it easy for you to make those calls. There was a lot more to it in 2017 than letting Chad Kanoff put it up there where only Jesper Horsted or Stephen Carlson could get it. Or in 2018 letting John Lovett do what no other quarterback in the Ivies was as capable of doing. 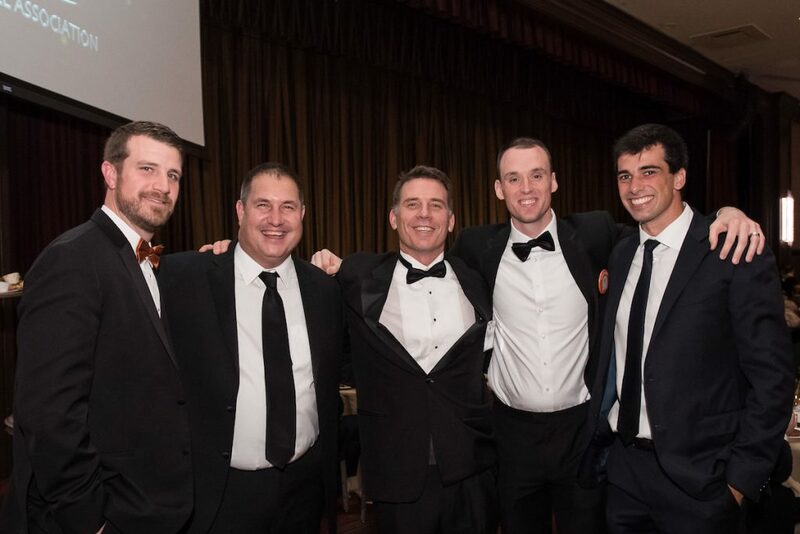 “Johnny made my life easier as the line coach, just as he made Coach Gleeson’s life easier as quarterback coach and coordinator,” said Aurich. “He had a way of getting you out of bad situations–and that’s not just making the wrong play call but when he would make the wrong read and then run for a first down anyway. When Perry had both Kanoff and Lovett, the coordinator made Kanoff the 80-yard quarterback and Lovett, the runner, receiver, throwback guy, decoy, and then finisher. When Lovett missed the entire 2017 season and Kanoff had two NFL-to-be-deep targets, Gleeson went more conventionally with a pro-type set. After Lovett returned last year and Kanoff graduated, Princeton read-and-optioned to more touchdowns and yards than ever. 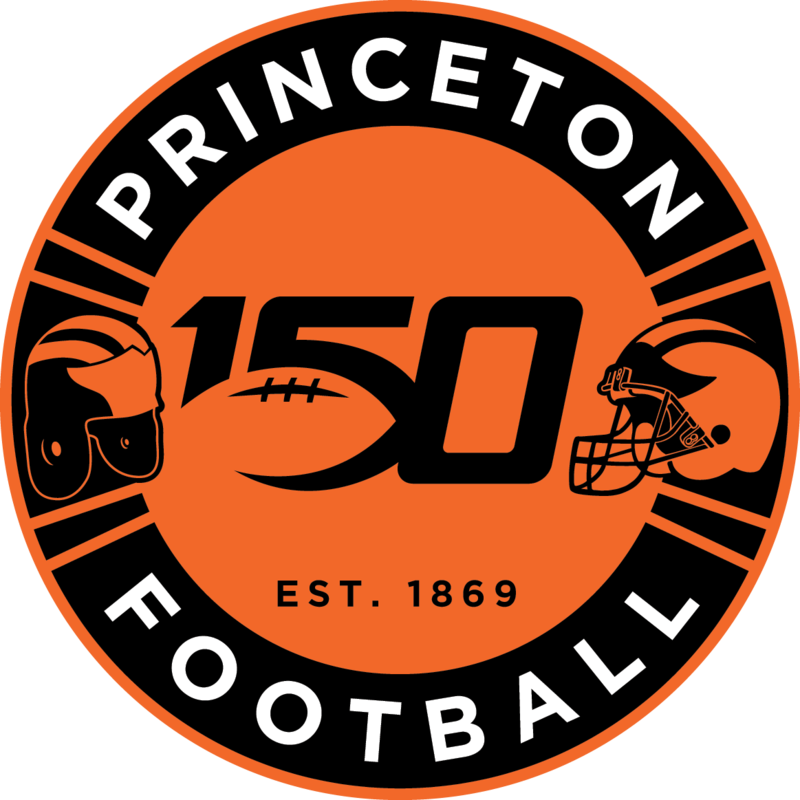 Point is, while a 50-50 pass-run ratio is everyone’s–including Princeton’s–ideal, you use what you have and Aurich is convinced he still has plenty, including a returning highly successful offensive line that he will continue to coach, just as Defensive Coordinator Steve Verbit works with the defensive line. Staffs are a little smaller on this level, the required multi-tasking making coaches more versatile and ultimately ready to be promoted when people leave for opportunities they cannot turn down. Since Surace became head coach in 2010, every coordinator opening has been filled with a member of the existing staff. “I wouldn’t be proud of the job I’m doing if I’m not helping coaches grow and be prepared for their next step,” said Surace. “We haven’t had much turnover in the last 10 years but the turnover we’ve had has allowed coaches to take a giant leap in their careers–Power Five conference coordinator, FCS head coach, four coaches directly to the NFL. “This is a result of both the culture we have created, including how we push ourselves as a staff in stimulating discussions in our scheme, philosophy and organization.